A hard fact of life is that sometimes the trail turns cold in some investigative cases. This does not, however, mean that all hope is lost. We hope that the public reviews this page and contacts our agency with any information they may can provide. The smallest detail or memory can make a huge difference. In September of 1995, Ms. Williams’ mother reported that she had not heard from her daughter in several months. (Ms. Williams’ mother was disabled and lived in Arkansas). Angela’s boyfriend stated she had left with a rich friend she had met in Florida. The investigation revealed she did have a rich friend in FL, but it appears Angela never traveled to FL. 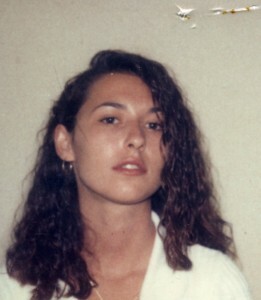 Angela left her place of employment, The Copa Casino, July 10, 1995 around 8 AM. A phone call was placed from Angela, to her friend around 10 AM same morning. This is the last time anyone heard from Angela. She left behind her paycheck and her vehicle, a 1984 yellow Pontiac Fiero. 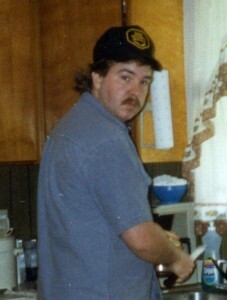 On Saturday, February 01, 1992, Timothy left the home he shared with his girlfriend and was never seen again. He had his black chow, Bear, with him and was driving his yellow 1973 Dodge Dart. 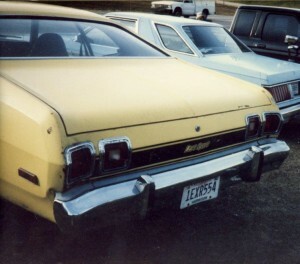 The Dart was found on February 02, 1992, in a parking lot off Cedar Lake Road, by Interstate 10. Bear was found on February 05, 1992, on Old Hwy 49, Saucier, and he had been seen in the area since Saturday, February 01, 1992. Joseph Norman Spears, aka Joey, a 17 year old white male, was being held in the Harrison County Juvenile Detention Facility in July of 1973. While Joey was in the detention facility, his family moved to CA where his father was stationed with the Navy. Joey was aware of this move and planned to join his family when he was released from detention. On July 30, 1973, Joey escaped from the detention facility and was never heard from again. Joey never contacted his family. At the time of his disappearance he was 17 years old, had shoulder length light brown hair. Joey has blue eyes. Joey’s date of birth is May 5, 1956. On the night of February 3, 2008, a pedestrian wandered into the south bound lanes of Hwy 49 near Pine Tree Road and was struck by a vehicle and was killed. The victim did not have any identification on him and remains unidentified. He is described as middle-aged white male, brown hair, brown eyes, with a bushy red and brown “gaucho” style mustache. He was wearing black Wrangler jeans, a braided leather belt, white t-shirt, red plaid boxer shorts, white socks, brown leather pull on work boots, and a black and yellow windbreaker style jacket with a “DeWalt” racing emblem on it. His pockets contained lose change, “Doral” brand cigarettes, a box of matches, and a red and black box cutter style knife and tool kit. He had no tattoos or noticeable scars. His left earlobe had one piercing. 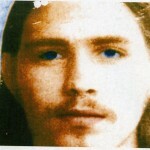 The photograph is a forensic artist’s rendering of John Doe. 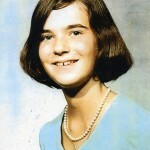 On February 21, 1973 the body of 13 year old Rose Marie Levandoski was discovered in the Tchoutacabouffa River East of Corsos Bridge in Biloxi, MS. Levandoski was missing from St. Martin Junior High School on February 1, 1973 where she was a student. Harrison County Sheriff Office Investigators were assisted by Investigators from the Jackson County Sheriff’s Office and several leads were followed up during the investigation. On September 2nd, 1978, black male Ernest Phillips Sr. AKA “Big House Phillips” was found dead in his business, Phillips Cafe’ located at 4624 Georgia Avenue in Gulfport, Ms. Phillips had been beaten with a blunt object and died from head injuries sustained in the assault. The investigation revealed that the motive for the homicide was robbery. On December 25, 1987 the body of Stephanie Joyce McKean was discovered by a Sheriff’s Office Helicopter Pilot on a Power Company right of way North of Brandon Road located East of I-10 in Biloxi, Ms. McKean’s body was in advanced stages of decomposition and had been dumped at that location. McKean resided in Biloxi and frequented the Sun-N-Sand Lounge and several other night clubs which are no longer in business today. McKean was last seen in the Tic-Toc Lounge which was located on Veterans Avenue in Biloxi, Ms. days before her body was discovered. In the early morning hours of June 2, 1976, 20 year old Caucasian Female, Robin Coultas-Rodriguez, an all night cashier at the Lil General Food Store on 42nd Avenue and 15th Street in Gulfport disappeared from her job. 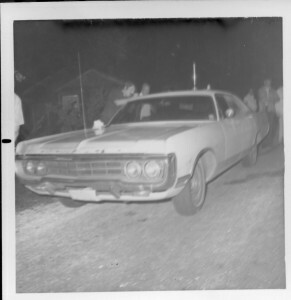 Her vehicle, a white 1970 Dodge 4 door sedan, was also missing. Later the same morning the body of Rodriguez was found floating in shallow water off of Bells Ferry Road. On the evening of the same day her vehicle was found in Long Beach; it was determined that her vehicle had been there since the morning. 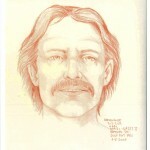 Skeletal remains were found on November 10, 1980, in a densely wooded area off White Plains Road and Lamey Bridge Road. The remains were submitted to a Forensic Anthropologist for evaluation. It was determined the victim was a Caucasian Female, aging from 19-25 years. She was approximately 5’1″-5’5″ tall and had medium length light brown hair. This young woman had dental work and probably suffered from back pain. She may have appeared “pigeon chest” or “humpbacked”; however, it was only slightly. It was determined that her remains were in the woods for 3-18 months putting her time of death between May 1978 and November 1980. A forensic artist performed a facial reconstruction (pictured). Please note her eye color is unknown. On January 29, 1987, the badly burned body of a homicide victim was found in the driveway of a residence on Hwy 49 in Saucier just South of West Wortham Road. Efforts to identify the victim were made but were not successful. He was buried at Finley Cemetery as John Doe and is still unidentified. He was a young adult Caucasian male aged 18-30. He was approximately 5’6″-5’7″ tall and had brown hair and brown eyes. He was petite; only weighing around 130 pounds. He wore around a size 9 shoe and was well groomed. Due to the degree of burning we are unsure if he had any scars or tattoos. He did have dental work and was missing a few teeth. 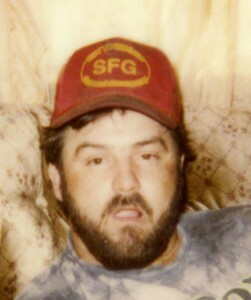 His blood type is O.
Skeletal remains found October 5, 1980, in a wooded area off Hwy 26 in Wiggins, MS. The remains were submitted to a Forensic Anthropologist for evaluation. It was determined the victim was a Caucasian Female, aging from 34-46. She was approximately 5’1″- 5’7″ tall and had medium to dark brown (almost auburn) shoulder length hair. She had very expensive dental work including a root canal and platinum/gold bridges. A forensic artist performed a facial reconstruction (pictured). Please note her eye color is unknown. The Harrison County Sheriff’s Office and the Gulfport Police Department are investigating the homicide of Phillip Alton Lyons, Jr., age 64 of Saucier. 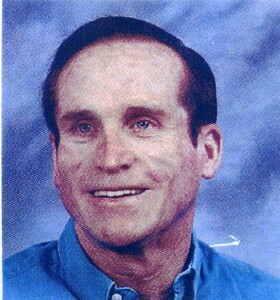 Lyons was reported missing to the HCSO on August 12, 2002, by family members. Family members had been contacted by friends and associates stating that Lyons had not been seen or heard from since August 6, 2002. At the time of the investigation, there were no signs of foul play having occurred at the residence. On August 14, 2002, the Gulfport Police Department was notified of a suspicious vehicle parked in a parking bay at US 90 and 38th Avenue. An NCIC check of the tag indicated that it was Lyons’ vehicle. 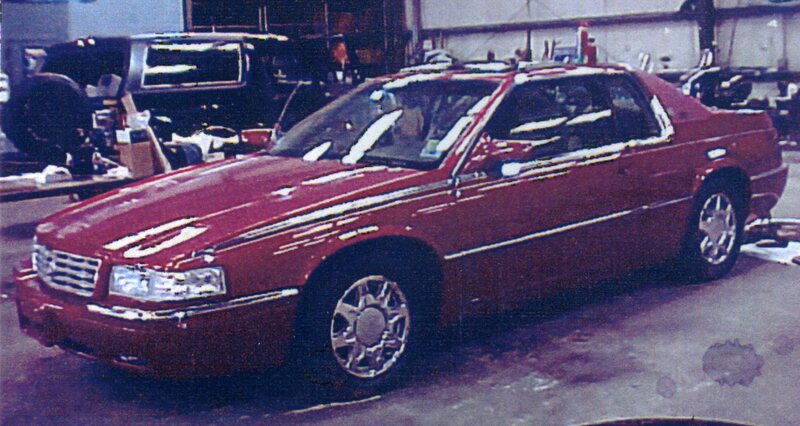 A subsequent search of Lyons’ vehicle revealed a body, later identified as Lyons, in the trunk of the car, a red 1998 Cadillac El Dorado. While the cause of death has not been determined, dental records were used to positively identify the body as Lyons. On April 9, 2007, 48 year old Justin Tubbs was reported missing by his family members in Saucier, MS. Tubbs was last seen leaving his place of work driving his teal colored Chevrolet 1500 pickup truck. On September 30, 2007, Tubbs’ vehicle was located in a wooded area near the intersections of Bethel Road (formerly known as Highway 67) and Clarke Road in Saucier, MS. Near the vehicle the remains of Tubbs were located and revealed that Tubbs was murdered. There is currently a $10,000.00 reward for information leading to the arrest and conviction in the murder of Justin Tubbs.